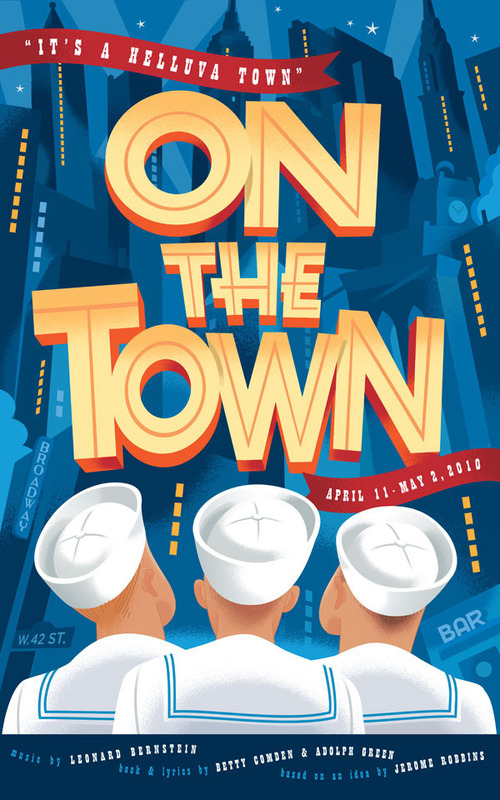 Last spring, Nicky Lindeman from SpotCo called for a poster for Seattle’s The 5th Avenue Theatre production of ‘On the Town.’ The classic musical tells the story of three sailors on the loose in NYC, “three sailors as they try to cram a lifetime of romance and excitement into a day-long adventure in the city that never sleeps!” No tigers, no lost teeth, no roofies. 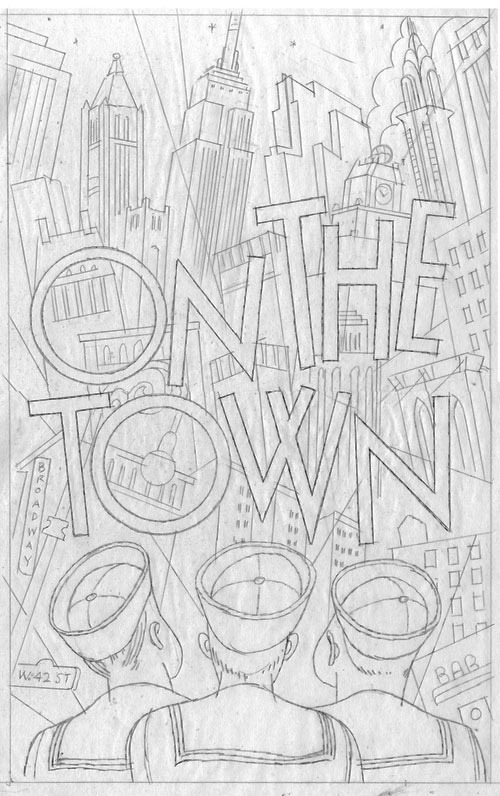 SpotCo wanted the look of a classic Broadway show poster, they sent me a rough sketch, and I offered to include the typography in the illustration in order to get the right feeling for the poster. Here's SpotCo's sketch, my first sketch and a couple of color comps. Nicky and everyone at SpotCo are total pros, and they were a pleasure to work with on this one. 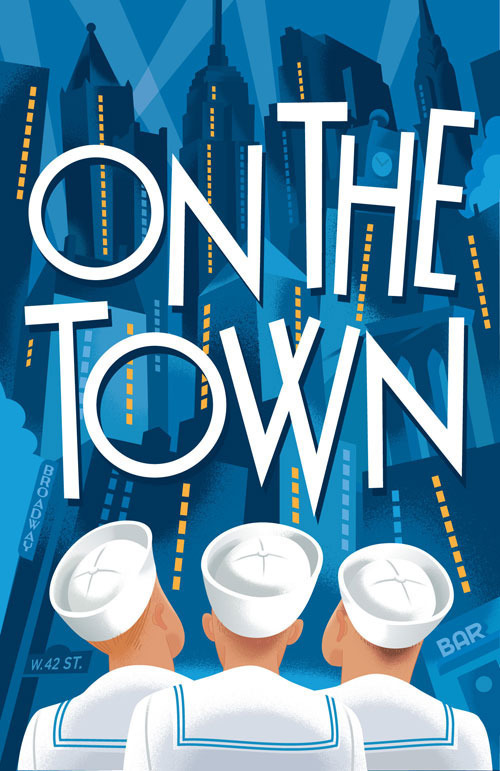 The production will be staged April 13- May 2, 2010. Paul. A total bang up job. Looks great. 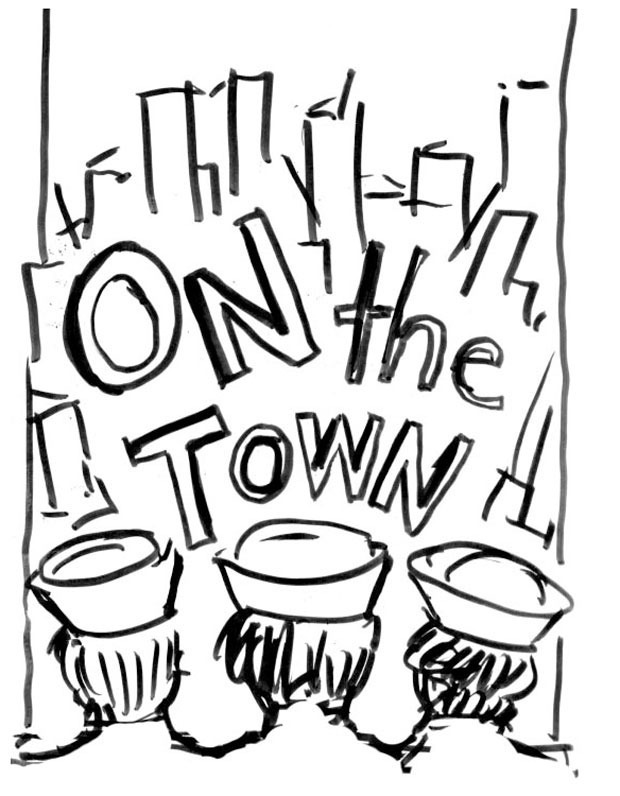 Definitely has that old time Broadway poster feel. Congrats. This is great! I LOVE the pencil sketch too. Congratulations. Wow! This is perfect, and I'm with Yuko - that pencil sketch is really cool. Congrats Paul! 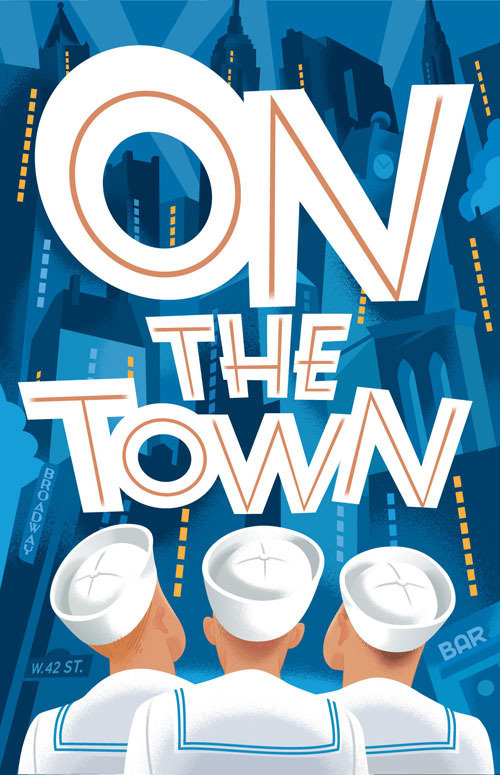 It captures that classical Broadway look and yours perfectly. Is it painted or digital? Great job and gig Paul...love the sketches too. Nicely done. Love that tight pencil, Empire State front and center. I saw the movie you refer to, ugh. You're a class-act Rogers, I'm glad there will be at least one Seattle theater poster this year not swimming with roofies. Paul, Beautifully composed and executed! You do the industry proud. I also prefer the second sketch,but, the final is great. They censored out HELUVA Town to HECKOVATOWN in the movie. I loved the Ann Miller dance with the dinosaur. What a swell gig! I love this piece. Nicely done, Paul. Wonderful Paul! I like working with Spotco....Nicky is pretty great.